These are amazing! 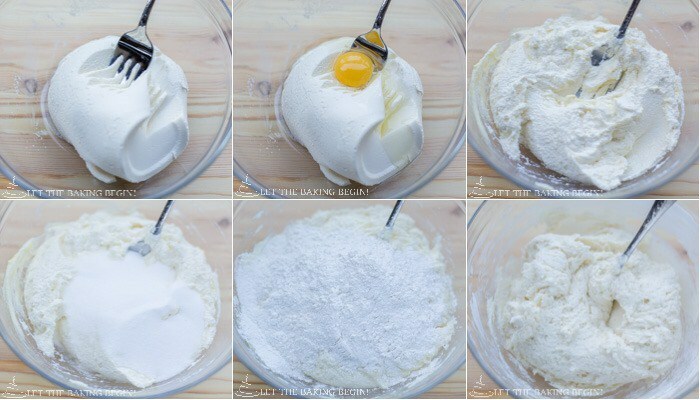 I found this recipe on Let the Baking Begin and I just love it. 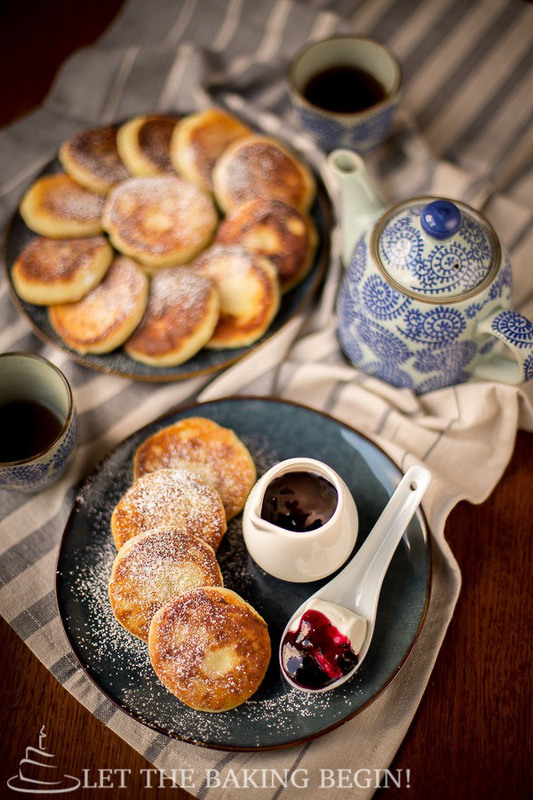 This is the perfect special occassion/breakfast in bed recipe! Father’s Day is right around the corner and this recipe will make the special men in your life feel like they’re king for a day! 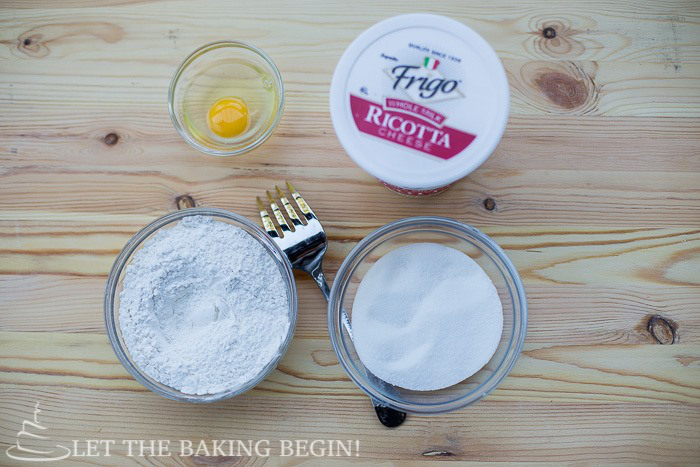 Combine the ricotta cheese with the egg and mix until the egg is well incorporated (if using vanilla add it with the egg); add the sugar and mix again; add flour and the baking powder and with minimal amount of mixing bring everything together into a smooth mass. Using a tablespoon or a large ice cream scoop, scoop the mixture then drop it into the flour. 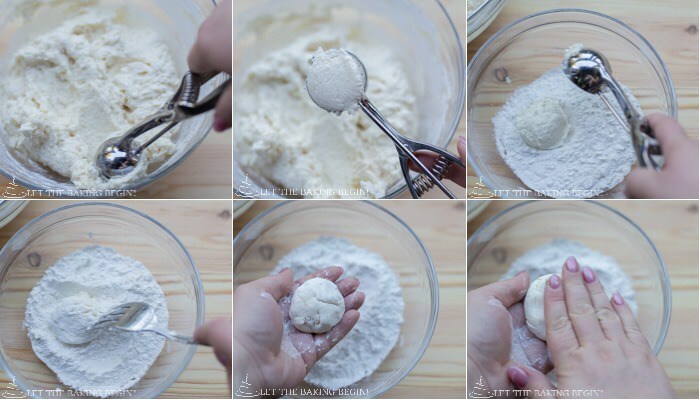 Coat the ball in flour, then gently shape into a flat patty about ½ inch thick. 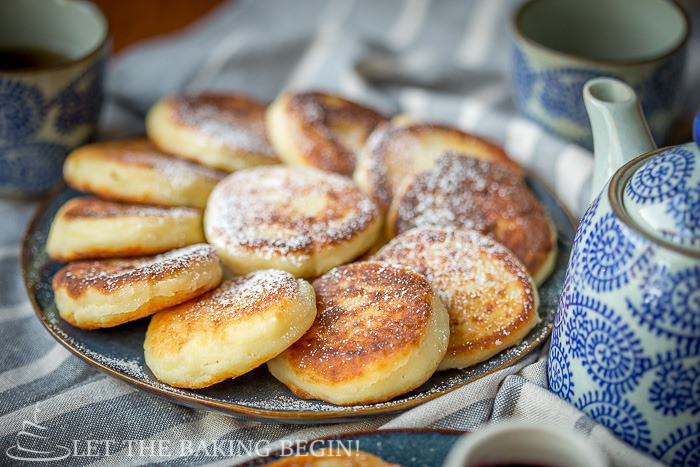 You can shape them all and then fry the ricotta pancakes, or shape enough to fill the pan and while they’re frying continue shaping the rest. 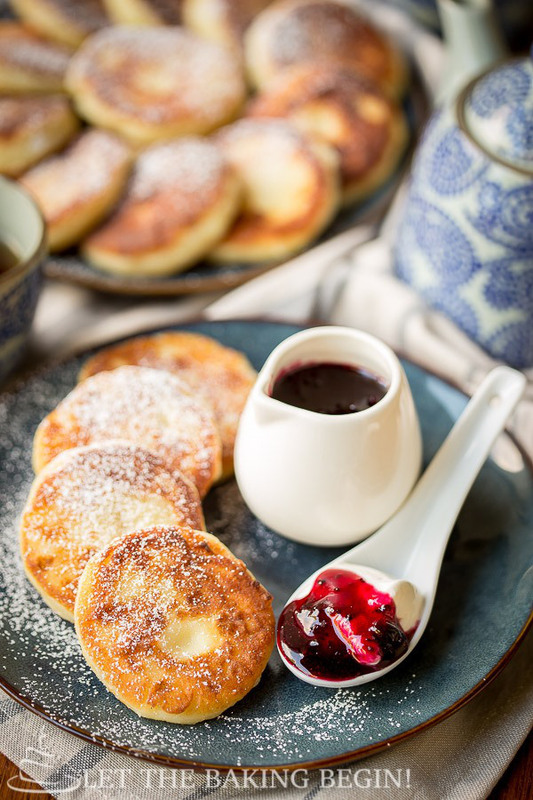 To fry the pancakes add about 1 tablespoon of oil to a skillet and heat over low-medium heat. 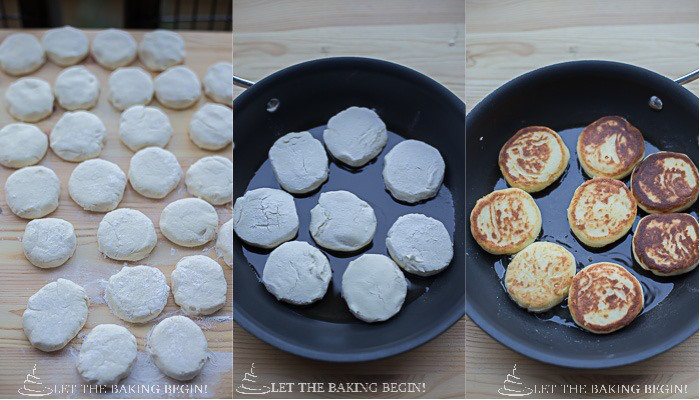 Add ricotta pancakes in, cover with lid and fry for about 2-3 minutes per side or until well browned on both sides. 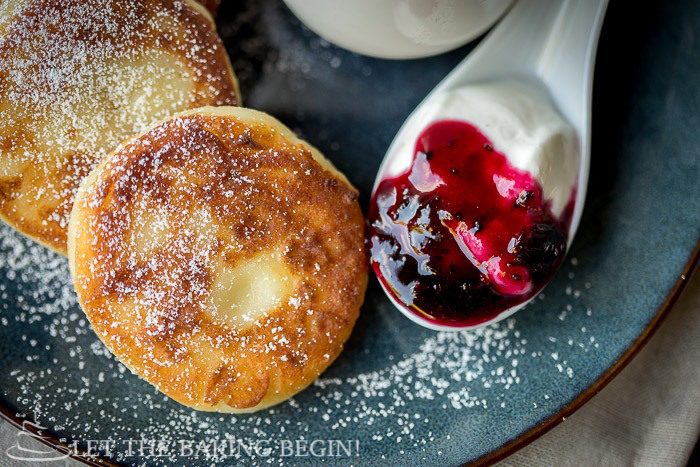 Serve warm with a side of sour cream and a jam of choice. Source: Let the Baking Begin! Let the Baking Begin!